Our father chose to donate most of his ACL memorabilia to the Bill Wittliff Collection at Texas State University. I went down today to deliver his ACL Hall of Fame award to Curator Steve Davis, and a couple of the grandkids and great grandkids were able to make it too. 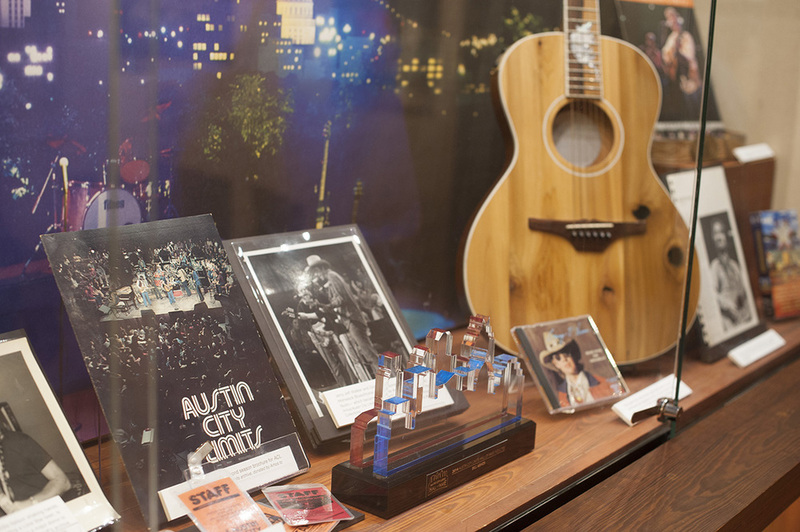 The Armadillo Rising exhibit, which includes an ACL display, closes July 3. Steve added the award to the case for the last 10 days.